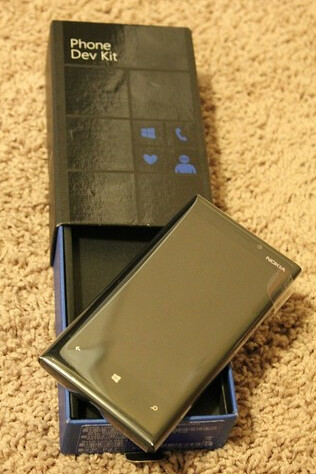 During BUILD 2012, the developers in the audience were given a little present in the form of a very, very special Nokia Lumia 920. No, it was not pink. Actually, Nokia calls it a one of a kind device that they will never make again. Ever. The Finnish based handset manufacturer had the intelligence to understand that developers come from all over the world, and come in different shapes and sizes use a multitude of different carriers with different network configurations. 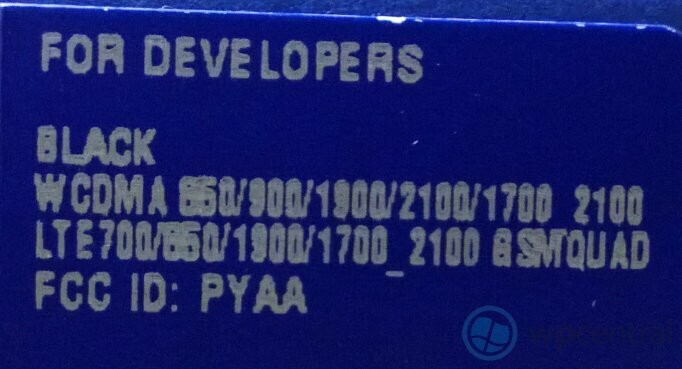 So Nokia made the developer edition of the Windows Phone 8 device capable of connecting to a number of different carriers. Based on a close up picture of the phone's box, we can tell you that it supports WCDMA: 850MHz, 900MHz, 1900MHz, 2100MHz, 1700 2100MHz. 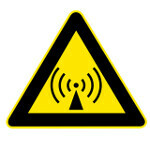 LTE bands supported include: 700MHz, 850MHz, 1900MHz, 1700 1900MHz. It is a universal phone that should work on the network of many carriers. While the phone does support many bands, it does come in just one color, black. Already, the phone has been sold on eBay for a price of $1,199 as you can see below. Yeh...nokia is back.,n apple and samsung both are scaring. They know lumia 920 is best device than iphone 5 n samsung galaxy note 2. Apple and SS may be shivering now, but not b-c 920, it's Nexus 4 the Terminator. dude you're grammar is wrong it should be "are both scared"
dude your grammar is wrong it should be "your"
You have a very valid point my friend. After the power outage here in Lower Manhattan, as I walked and bused my way around from the Lower East Side to East 86th Street and points in-between, I had the great misfortune of hearing people yak away about their phones' being out of service, completely dead or, for the fortunate, no issues whatsoever; I, of course, was in the latter group. But, iDigress, the biggest complaint I overheard was, "my iPhone is dead." For the very unlucky, it was not only a dead battery but that, the battery died "Searching" for service. I did overhear a few Android handsets' names being bantered about but, the lack of service seemed to be specific to the phones' carriers. I was disheartened to confirm, because of my Mom and brother (they both have T-Mobile) that T-Mobile was essentially dead south of East 30th street (give or take a few blocks). But, I never heard one comment on the Lumia; not one. Probably because, not that very many people have heard about it and only a very few are actually anticipating it, therefore, you are correct: again!! You are ignorant. Maybe you should read more about new innavations! With no Root Rom Kernels nor overclock, what good is this, even the N9 is much better, and at this price....! LOL you act like a police rouding up WP critics around PA. Open your eyes to see how bad software company MS is today to trust them one more time. Critics and Trolls are two different types of people. And as his name suggests ,he is a troll. But whats in name ? BTW in a trolls world even Android is the worst OS ever. Same can be said for windows 7 or any other top OS. So stop feeding them and be rational and while criticising,appreciate the positive points also. Critics do not have to talk about positives, but must say as they genuinely think, and they have right to be wrong. Trolls are those who try to twist the truth and not just in criticism. I think what he says is correct: MS tries to be the same as Apple and create a closed ecosystem and geeks surely do not like it. N9 is a totally different beast. Why do you want a phone that is so unsatisfactory out of the box you have to hack it? Give me something that will work with no disruptions, complete reliability, and satisfactory customization options without causing further issues. Windows Phone will will meet those needs for most smartphone buyers, proudly including myself, and if they decide to make a media player based on it, so much the better. Xbox Mobile rather than Zune? What a joke! my knowledge towards life is wize and wizdomed. L900 tried and tested, yes smooth like JB but Very restrictead like ios, i ain't dimwit to to preserve a locked Half-baked WP8. Every-one have there choices. its not about knowleage its about how you using it for like ever i saw u not doing anything else but crying bashing trolling and whinning dont see any knowledge or WISDOM in ur brain tell u what please stop making yourself look like a fool u hate wp123456789.. we get it but it is pointless for u to stupidly troll every last article you see. if u are really a tinny smart you better stop it for your own good this atitude is really pathetic for anyone.and yeah reapeating same words over million times also makes you look like a BOT with no brain. its closed OS no one denies it so please be free to jump off the wp articles cuz their is nothing in it for you. your bashing finally wont even make anyone change his mind about wp8 with that kind of 3rd class attitude. its not about knowleage its about how you using it for like ever i saw u not doing anything else but crying bashing trolling and whinning dont see any knowledge or WISDOM in ur brain tell u what please stop making yourself look like a fool u hate wp123456789.. we get it but it is pointless for u to stupidly troll every last article you see. if u are really a smart one you better stop it for your own good this atitude is really pathetic for anyone.and yeah repeating same words over million times also makes you look like a BOT with no brain. its closed OS no one denies it. so please be free to jump off the wp articles cuz their is nothing in it for you. your bashing finally wont even make anyone change his mind about wp8 with that kind of 3rd class attitude. That was funny, Lmao. Its a pleasure.